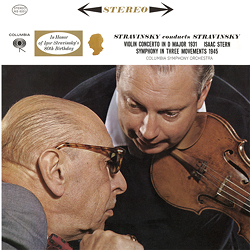 ﻿For many years Stravinsky was reluctant to write a concerto for the violin. He felt he was too unfamiliar with the instrument and its particular properties, and it would be too problematic and too much of a challenge to create a large work for the violin. That he finally acquiesced is due in part to persuasion from Paul Hindemith and support from the violinist Samuel Dushkin, who gave him valuable advice during its development.